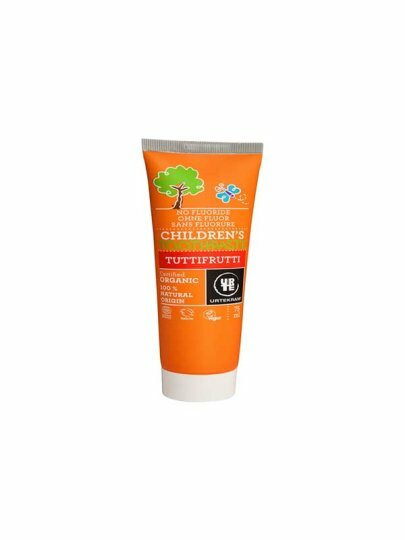 Favorite toothpaste for kids with super refreshing, also without fluorine. (INCI): Calcium carbonate, aqua, glycerin **, Aloe barbadensis leaf extract *, chamomilla recutita flower extract *, xanthan gum, aroma, commiphora myrrha oil, magnolia officinalis bark extract, limonene. Organic breeding. ** = Organic Ingredients.